Trading the financial markets is extremely difficult, but with theright approach, traders can achieve success. Nobody knows thisbetter than authors Larry Pesavento and Leslie Jouflas, bothtraders and educators of traders, who have consistently usedpattern recognition to capture profits from the markets. 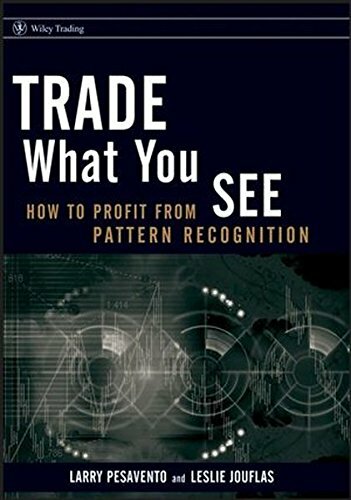 InTrade What You See, Pesavento and Jouflas show traders howto identify patterns as they are developing and exactly where toplace entry and exit orders. While some patterns derive from thetechniques of Wall Street’s earliest traders and otherpatterns reflect Pesavento’s emphasis on the geometry ofmarket movements and Fibonacci numbers.. Filled with hard-wonknowledge gained through years of market experience, Trade WhatYou Seeoutlines both a practical and sophisticated approach totrading that will be of interest to both novice and seasonedtraders alike.